For people who have been raised in religions other than Buddhism, you’ll know that once you adopt this way of life, everything changes. Simply put, you can expect to experience a transformation – an authentic one, from the inside out. Probably the most powerful point on this list includes waking up to the fact that it is vital to be aware of every moment. This is point that must be emphasized, even if it is one that’s oft-repeated. One thing is for sure: it will change every aspect of your Life. Once you are awake for every moment and overcome your greatest challenges, this will give you a great sense of joy and fulfillment. 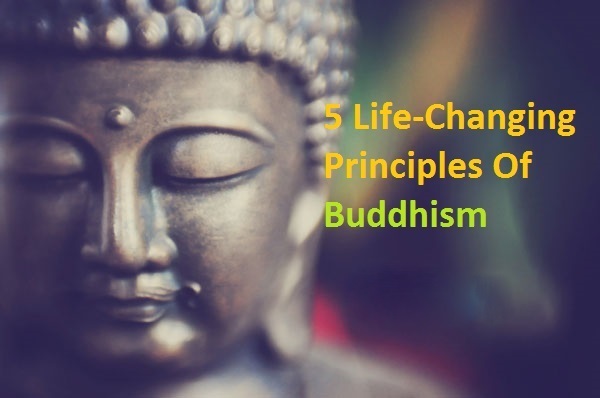 This quality is revered in Buddhism as it points to a highly realized human being. Not only does it help the world at large but it is most definitely the right thing to do. When you show compassion to others, your life will change too. But more than that: you will find peace within yourself. No matter what, it will help you look for the goodness in people…even if they’re guilty. In Buddhism, a ‘sangha’ is actually a community of practitioners. In other words, it’s a community of monks, nuns, and laymen who practice Buddhism in order to realize ‘greater awakening’ for themselves as well as all other human beings. While people do come together in groups, it’s usually to acquire money or power- but not necessarily toward goals such as happiness, peace, and greater wisdom. Associating with a sangha with strengthen your virtues and help you let go of negative habits. Western society not only avoids this topic, but goes to the extent of pretending that it doesn’t exist. Yet acknowledging and understanding our impermanence is the only way to make peace with ourselves. Quite intriguingly, Buddhist students are actually required to “meditate on the image of a corpse”. It goes without saying that a true appreciation for Life cannot be found if you don’t understand your own impermanence. This is not just about birthday or Christmas gifts, but making giving a daily habit. Buddhists usually consider Life to be a play between taking and giving. In understanding this, we will not only experience greater peace but also realize the gifts that we have such as love, compassion, and our presence. We can positively impact the lives of everyone around us. This article was republished from www.purposefairy.com. You can find the original post here.